House training a new puppy or shelter dog is usually one of your first goals when you come home. Like many things in life, house training a dog in seven days is simple, but not necessarily easy. If you follow a few basic rules, your new dog or puppy will be house trained in seven days. The good news is that you can usually house train a dog in seven days no matter how old she is. Puppies and small dogs have smaller bladders and will need more frequent potty breaks, but otherwise house training all dogs is essentially the same process. Even after the initial house training process, most dogs still need a few weeks or months of practice to good at holding their bladder for eight hours. Supervise or contain your dog or puppy at all times while house training. Take your dog out at frequent, regular intervals as well as after eating, drinking, playing, or sleeping. Reward your dog for going potty outside and set her up so she doesn’t make mistakes. Punishing your dog for relieving herself inside will teach her to be scared of you, not to pee outside. Get to know your pup’s “warning signs” and take her outside when she needs to go. It’s really that simple. Most dogs take to house training in seven days with no problem, especially when you keep in mind these ten tips for new pet owners. If your dog is struggling with house training after you follow the instructions in this blog and sticking to a schedule, consider contacting your vet to rule out medical issues. Dogs are not born knowing the rules of human society. While dogs instinctively won’t pee where they sleep, that does not mean that they instinctively won’t pee on the bathroom rug or in the back corner of the basement. In order to house train a dog in seven days, you will need to become a dog trainer for a week. It’s your job as the new owner of a dog or puppy to teach her what to do. Focusing on what you want your dog to do will help remind you to use treats, praise, and play in training rather than punishment. Speaking of treats, don’t be stingy! Think of treats like your dog’s paycheck. If your pup learns that she can trade her pee in for a piece of chicken, she’ll catch on to house training in no time. Praise and petting isn’t good enough for most training gigs, just like praise and pizza parties from your boss wouldn’t keep you in a workplace if you weren’t paid. 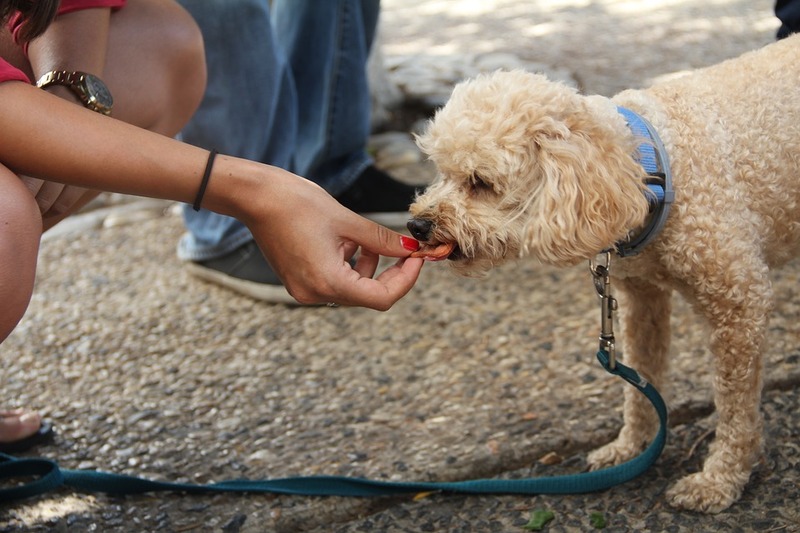 You’re not bribing your dog with treats – you’re paying her for doing the hard work of holding her bladder. You can’t house train a dog in seven days without treats. Punishing your dog or puppy for having an accident will not help, even if you catch your pup “in the act.” Late punishment will make your pup scared of you, while on-time punishment will teach your puppy that peeing in front of you is a dangerous action that should be avoided. House training in seven days will be easy if you focus on catching your dog doing it right rather than making mistakes. Be patient, and expect a few mistakes. House training is one of the most trying aspects of bringing home a new dog, so just keep breathing and stick to the plan! How Long Can My Dog Hold Her Bladder? Before you start house training a dog, you need to know how long that dog can hold her pee. If you expect a young puppy to hold it for eight hours, you’re setting everyone up for frustration! While you can easily house train a dog in seven days, it will be far longer before your puppy is physically capable of holding it for a full work day. Start at three hours, maximum. A two month old (eight week old) puppy can hold her bladder for three hours. That does not mean she knows she should hold it, though. You have to teach her to wait three hours. Puppies also need to go outside after sleeping or eating their delicious and nutritious dog food. Every month after that adds one hour to the puppy’s tolerance, up to about eight hours. That means a five month old puppy should be able to hold her bladder for six hours. Tiny dogs, tiny bladders. 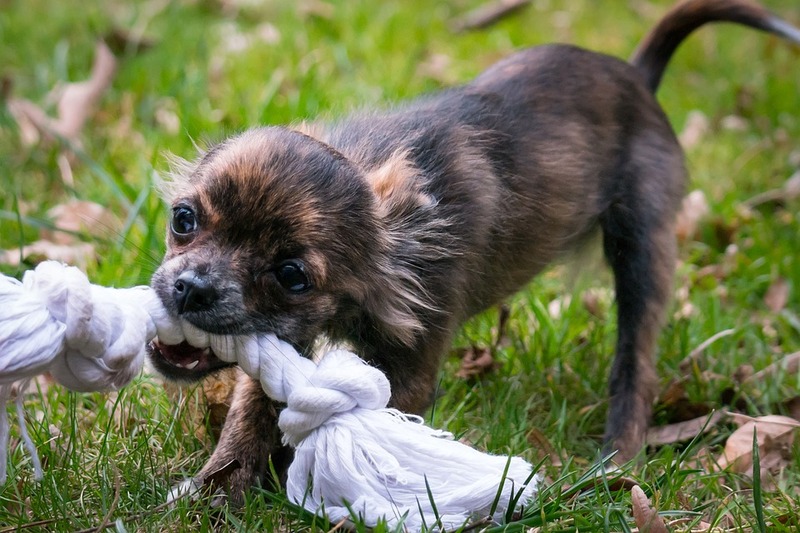 Toy sized dogs might never be able to hold their bladders longer than five or six hours. That might be why many of the most popular dog breeds are bigger than ten pounds. Eight hours is the maximum. Even the biggest adult dogs shouldn’t be expected to hold it for more than eight hours. Don’t start at the maximum time possible for your dog’s size. Just because a three month old puppy is physically capable of holding her bladder for four hours does not mean she knows that she should. Make it easy at first, then build difficulty. Your house training schedule is the most important tool in house training a dog in seven days. Based off of your pup’s age, create a schedule of potty breaks within that time limit. For a two month old puppy, that means you are going outside at least every three hours. We say “at least” because puppies also should go outside for bathroom breaks within a half hour of eating, drinking, waking from a nap, or vigorous play. Puppies that are fed poor quality food might need to go outside more often, so research different dog foods and choose wisely! 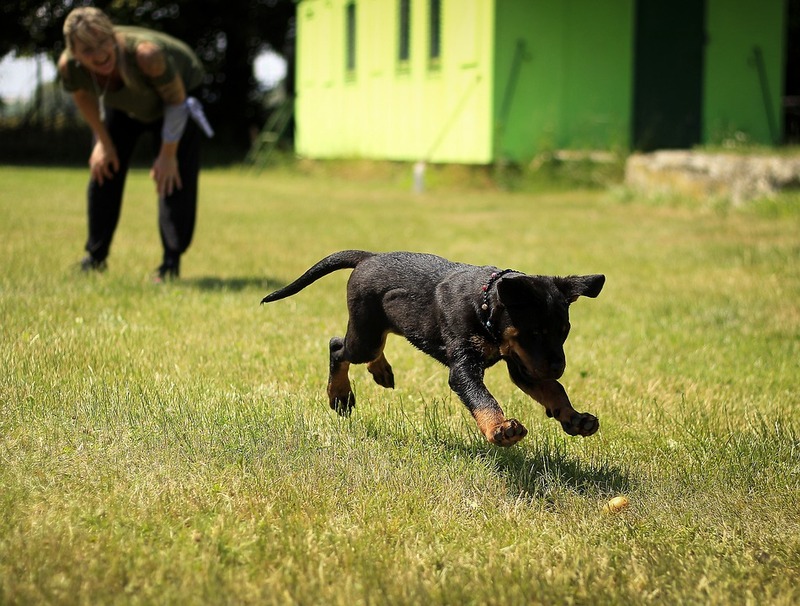 You will need help to stick to your schedule while house training a dog in seven days. Get help from neighbors, dogwalkers, friends, and family. Try not to spend 24/7 with your puppy, as this can set her up for distress when eventually left alone later in life. Start out with potty breaks about every three or four hours to house train a dog in seven days. Bigger and older dogs can increase time intervals more quickly, but remember that they need to understand the rules of the house training game before we can make it too hard! Making house training too hard too quickly is one of the biggest mistakes when trying to house train a dog in seven days. Be direct. Always go directly from the confinement area (see below) to the outside potty area. Letting a young puppy walk or sniff around often results in accidents between the crate and the back door! Bring treats and go all the way. Always bring treats and reward your puppy for peeing outside. You must go with your puppy and reward her as soon as she pees. Save playtime for after potty. Always save playtime or walks for after your puppy has peed and pooed, not before. The exception is late-night potty breaks – these should be a boring, in-and-out affair. Don’t make potty the last part of the trip. Don’t end the trip outside as soon as she pees. This will teach her to hold it as long as possible. Be boring until she “goes.” Act uninteresting until your puppy goes potty. High pitched “encouragement” might excite or distract your pup and prove counterproductive. Just patiently wait. Be extra-boring at night. Keep the late-night potty breaks boring. Simply take your puppy outside, reward her for going potty, and return inside. It’s important not to teach your puppy that 2:30am is a good time for playtime. Go back inside without play if she doesn’t need to go. If your puppy doesn’t go to the bathroom after a few minutes, go back inside and return your puppy to her confinement area. Try again in 20 to 30 minutes. This sample schedule assumes an eight-hour work day and a puppy that can hold it about three hours. Your dog should be left in a confined area where she can’t chew cords or pee in one corner while sleeping in another corner. Follow this schedule at first, then gradually increase time intervals between potty breaks to house train a dog in seven days. 7:00am Wake up and carry puppy outside or lead adult dog outside. Reward her for going potty with a treat, and play a bit if you have time. 7:30am Feed your puppy and enjoy some playtime. 8:00am Another quick potty break before work. Reward her for going potty with a treat, and play a bit if you have time. 11:00am Friend, neighbor, or dogwalker comes over to let puppy outside. 2:00pm Friend, neighbor, or dogwalker comes over to let puppy outside. 5:00pm Carry or lead puppy outside for another break. Reward her for going potty with a treat, and play a bit if you have time. 6:30pm Post-dinner potty break. Reward her for going potty with a treat, and play a bit if you have time. 8:30pm Carry or lead puppy outside for another break. Reward her for going potty with a treat, and play a bit if you have time. 11:30pm (or whenever you go to bed) Carry or lead puppy outside for another break. Reward her for going potty with a treat, and play a bit if you have time. 2:30am (next day) Carry or lead puppy outside for another break. Reward her for going potty with a treat, and play a bit if you have time. 5:30am (next day) Carry or lead puppy outside for another break. Reward her for going potty with a treat, and play a bit if you have time. This can look like a lot, but remember that you can add one hour between potty breaks for each month of age! By eight months old, your pup will only need about three potty breaks per day. Your puppy will be house trained in seven days, but will not have a strong bladder in seven days! Adult dogs who sleep in their crate might not need the overnight potty breaks. 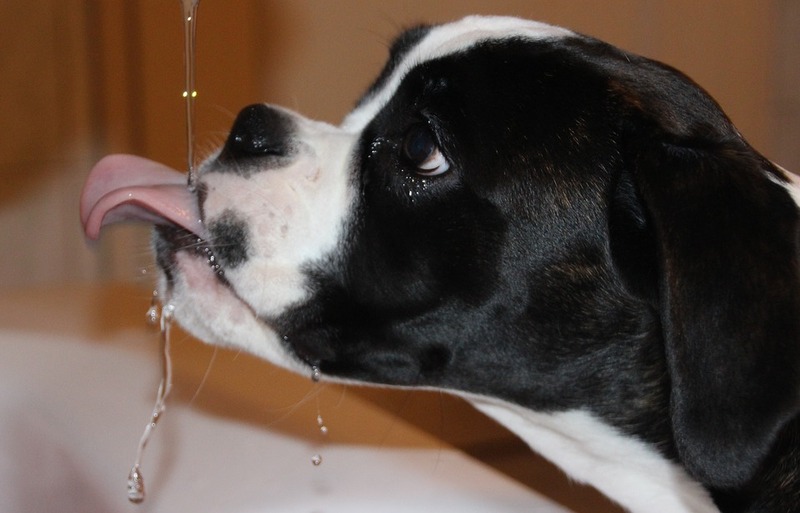 Monitor your dog’s access to water before bedtime to reduce late-night potty breaks. Aside from a schedule, confinement is the second most important component of successfully house training a dog in seven days. If you cannot be watching your puppy, she needs to be inside of a crate or an ex pen. This is important because dogs instinctively don’t want to soil their den. Teach your puppy to love her crate using lots of positive reinforcement. The crate or confinement area should be large enough for your dog to stand up and turn around, but not so big that she can pee in one corner and sleep in another. The confinement tactic is highly effective for most dogs. However, dogs from puppy mills, pet stores, and hoarding cases might have lost their instinct to not soil their den due to abysmal conditions in their past home. You likely will not be able to house train a dog with this history in seven days. Some of these traumatized dogs will never successfully be house trained. Do not start weaning your dog off the crate until she can hold her bladder for at least six or seven hours. Then start leaving her in a baby-gated area or an enclosed ex pen that is just a bit bigger than her crate. Leave her there for less than her “maximum time” and reward her when she goes to the bathroom outside. Gradually increase this space. Even when you stick to your schedule for house training a dog in seven days, confine your dog, and try to watch her whenever she’s not confined, you’re probably going to have an accident or two. That’s ok! Take a deep breath and remember that scolding your dog or showing her what she did wrong is not going to help. Remind yourself of the 30 benefits of owning pets if you’re feeling overwhelmed. 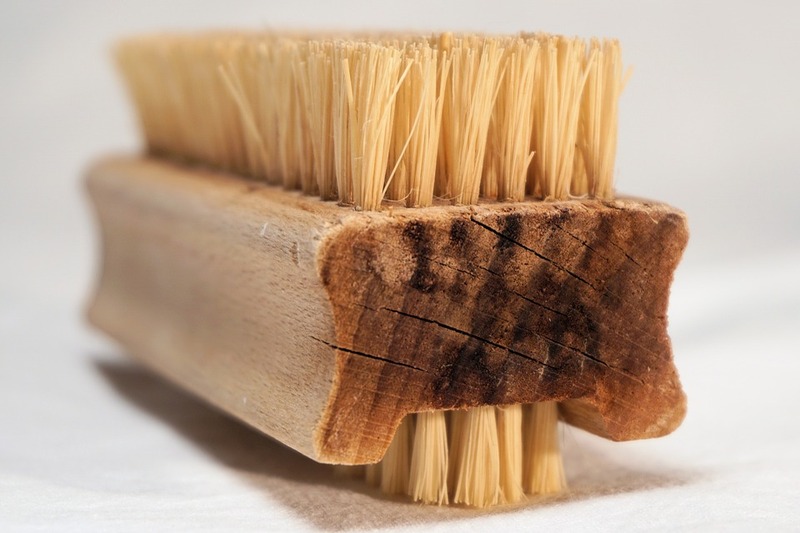 Thoroughly clean the area with an enzymatic cleaner, like Nature’s Miracle. Identify the mistake. Did you leave her too long? Did she just drink a bunch of water? Did she circle and sniff while you ignored her? Take steps to avoid the mistake again in the future. You might have progressed too quickly! Most dogs will circle and sniff around before they go to the bathroom. Watch for these signs and take your puppy outside right away if you see them, then reward her for peeing outside. 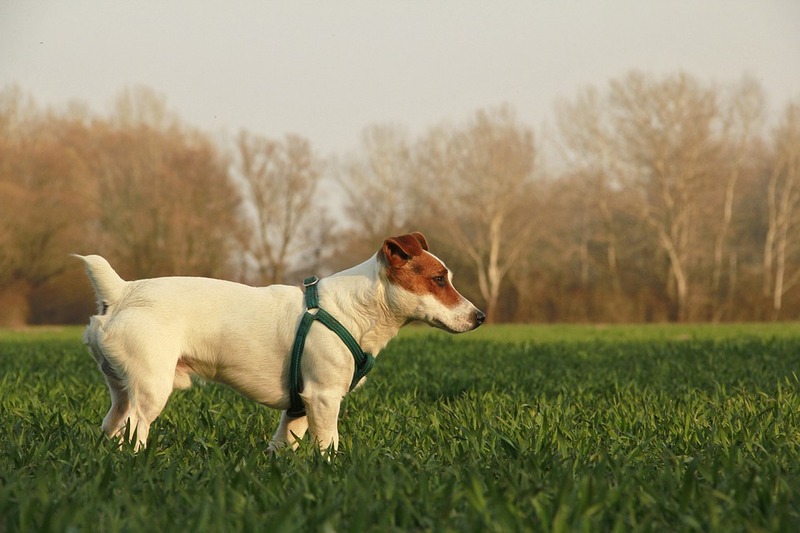 Using crate training and a schedule, you will house train your dog in seven days. Keep in mind that while your dog might be house trained in just seven days, she will still need a regular schedule because her bladder can only last so long!